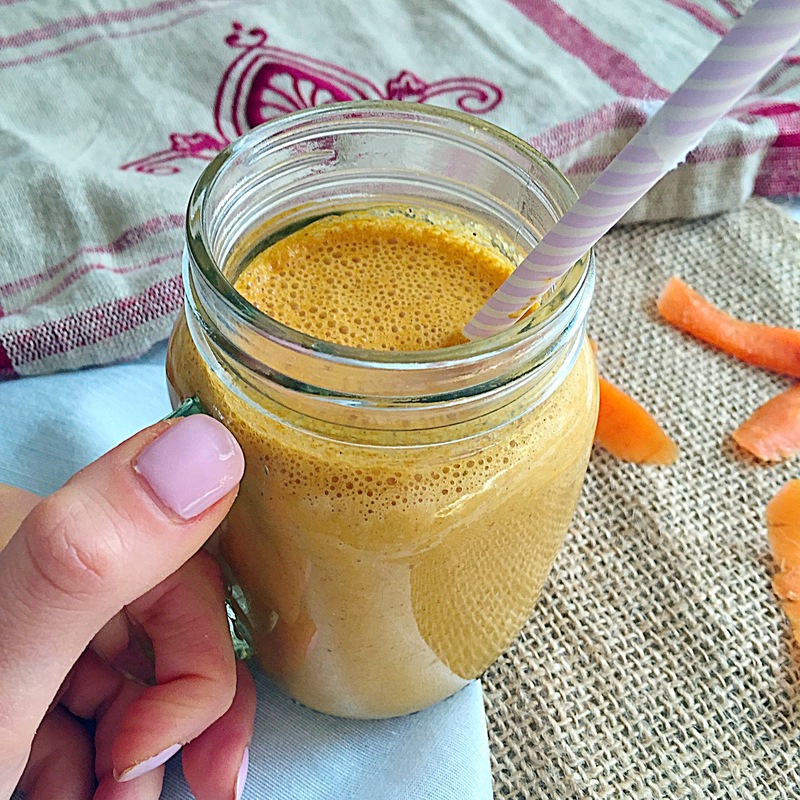 This smoothie really tastes like a carrot cake! The difference is that it is healthy and sweetened with natural sugars. It will not spike up your blood sugar and therefore keeps you full for hours. I make mine with frozen banana and extra spices to make it creamy and even more delicious. Place all the ingredients into a blender and whiz until smooth. 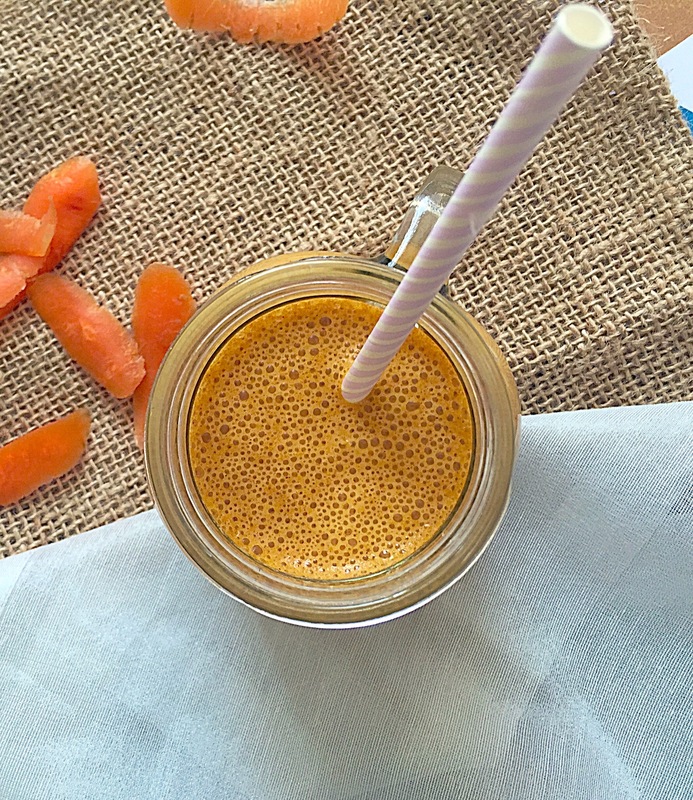 Serve immediately or pour into a portable smoothie cup.